We export our products to we Australia/NZ, Indian Subcontinent, East Europe, Central America, North Europe and South/West Europe. Our esteemed customers can avail from us a high quality range of Non Ferrous Bushes at highly competitive prices. These Non Ferrous Bushes are designed in compliance with the international quality standards, by our team of highly talented professionals. In addition to this, we check the entire range of Non Ferrous Bushes on certain well-defined parameters to gauge its defect-free nature. We have been widely known in the market for our ability to offer excellent Bronze Bush to the esteemed customers. 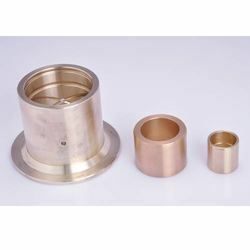 The entire range of Bronze Bushes is designed as per the specific requirements of various industries & sectors, to attain their maximum level of client satisfaction. 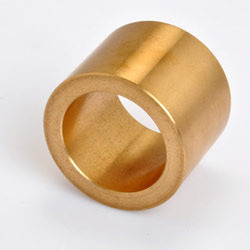 In addition to this, we offer standard as well as customized Bronze Bushes to the clients at industry leading prices. Looking for Machine Bushes ?